Our NLP platform has been integrated in Keboola Connection for more than a year. In fact, we were their first 3rd-party application. What brought us together? Well, we wanted to make things easier for our users. And, let’s be honest, for ourselves, too. We have software that can do cool things: read, understand, and interpret large amounts of text, all in a very short time. It can find important information (people, places, products, organizations, etc. 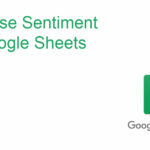 ), detect sentiment in text, and label and categorize documents. The software works with textual data from various sources (for instance, Salesforce, Google Drive, MS Office, Twitter etc.). But you need to integrate it first. And that can take quite a bit of time. Plus, how do you visualize the results? Looking for the perfect solution, we found Keboola Connection. Not only it allows you to easily add your textual data, and process it using our NLP platform, it also makes it possible for you to immediately see the results in GoodData, Tableau, and much more. How does it work? Let’s say you want to know what your customers are telling you in their messages. Go to Keboola Connection, connect Zendesk, email or Slack, run it through the Geneea app and display the results in QLik or Tableau. It’s that easy :). Find out more about the value of text data and what you can do with it using our app in Keboola’s blog post.